In the inkjet printer category, Canon rules the roost. The reason for this is that Canon devices’ output quality is, debatably, the best in the industry. This Original Equipment Manufacturer (OEM) is the master of photo printing, something that demands great output quality. Five out of last seven reviews have been for Canon devices, exactly when we started reviewing inkjet devices. 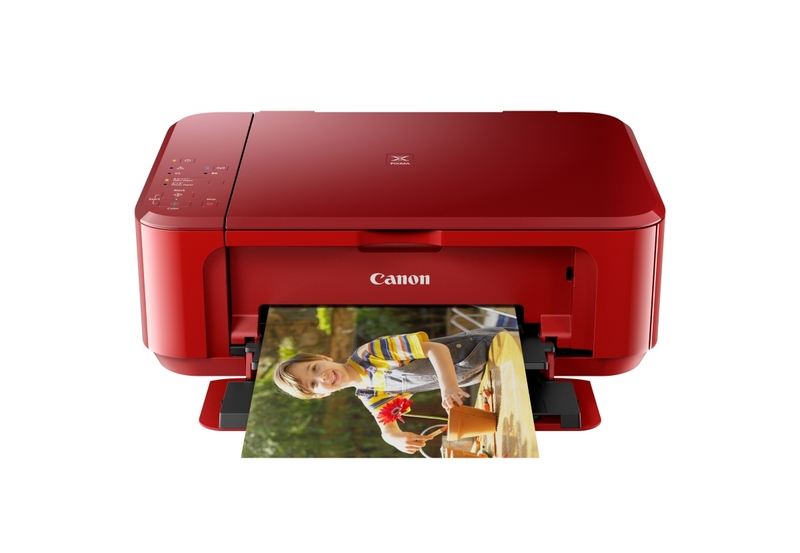 The Canon Pixma Home MG3660 is a colour inkjet multifunction printer that is aimed at the personal printer market segment. This device is both affordable and versatile. In fact, the Canon Pixma Home MG3660 is possibly the cheapest multifunction printer we’ve reviewed on this blog. Regardless of how many other devices we review in the future, we believe that this will be in the top ten when it comes to affordable multifunction printers. The fact that you can get the Canon Pixma Home MG3660 for next to nothing is something that should excite you. At the same time, though, it should also make you wary. You can find out why in the rest of this review. Did we mention that this device is cheap? Of course, we did. 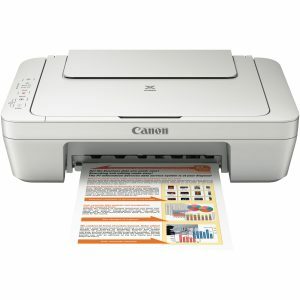 This is an entry level device that can be had for around $50, which is as low as you can go for an inkjet printer. This will be the biggest draw about this machine for the majority of individual users in the country. However, when you look deeper, there are even more advantages, benefits, and strengths of the Canon Pixma Home MG3660. The one strength that actually makes the low cost of the Canon Pixma Home MG3660 look even better is its output quality. If there is any one thing that this OEM is known for, then it is output quality and that is evident with this device too. The output quality of this device is excellent, especially if you consider its price. Text and graphics output is very crisp and clear with sharp distinction, while photo prints are colourful and vibrant. Behind this excellent output quality is Canon’s much renowned Full-photolithography Inkjet Nozzle Engineering (FINE) technology that creates 2 picolitre ink droplets. Incidentally, this device can print up to a resolution of 4800 x 1200 dots per inch (dpi). The device also performs better than most competitors in scanning. Generally, printer manufacturers don’t pay a lot of attention to the scanners on their machines. This results in most printers having average scanning devices. The Canon Pixma Home MG3660 does particularly well in this area in terms of quality of images created. The scanning speed isn’t all that bad either at around 14 seconds per image. A feature that we didn’t expect in an entry level device is automatic duplexing. However, the MG3660 sets itself apart by offering it to users. Automatic duplexing can be useful in saving paper, which results in considerable money being saved in the long run. The Canon Pixma Home MG3660 is also very efficient when it comes to power consumption. The MG3660 is one of the most energy efficient printers in the market with an approximate consumption of only 1.4W in the standby mode while it is connected to the PC. Connecting this multifunction printer to the computer is also very easy. You can do this by the provided USB 2.0 port or even go wireless. Unfortunately, there aren’t any Ethernet ports but they’re usually absent and not required for personal use. Going wireless comes with benefits such as mobile printing. 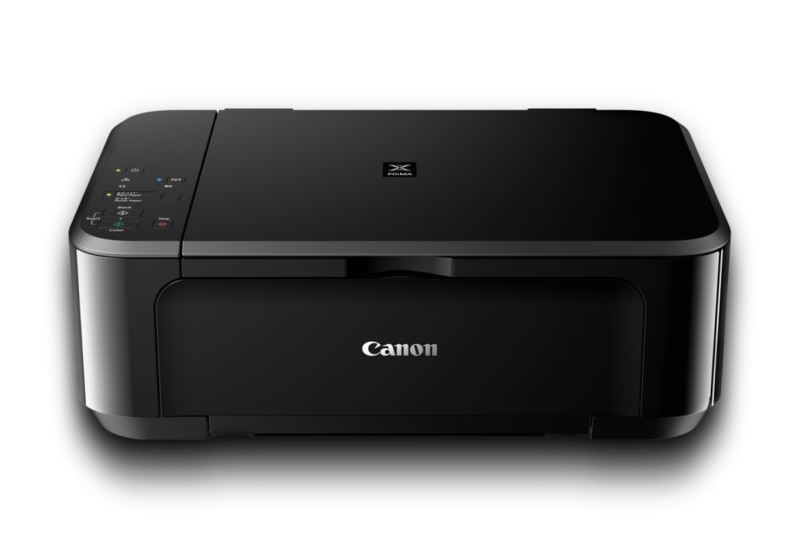 The Canon Pixma Home MG3660 supports Air Print, Google cloud print, Mopria, and PIXMA/MAXIFY Printing Solutions. The biggest problem with the Canon Pixma Home MG3660, as is the case with all budget printers, is the running cost. When you get a machine as advanced as the inkjet printer for around $50, you need to stop and question why. OEMs sell such devices at a loss because they expect to recoup those losses over multiple cartridge replacements. This is why such devices are very cheap to acquire but expensive to run. The same is true with this machine. By using genuine cartridges, you can expect to pay around 19.61 cents for every print which can add up very quickly if you print a lot. On the other hand, you can reduce this outlay by using generic cartridges. Such compatible cartridges will probably bring down your per-page costs to 15.63 cents. The running cost of this device is also high because its cartridges contain their own print heads. This pushes up the cost of every single cartridge, which in turn pushes up the running cost. This is a design decision that can be best explained by the OEM but we think they did this in the interest of keeping the device compact. The Canon Pixma Home MG3660 is marketed as a multifunction printer, which it technically is. However, multifunction printers are generally expected to have a faxing function, which this device doesn’t have. This can be seen as a flaw but not a lot of people fax documents in today’s world so you can ignore it as well. What you can’t ignore, though, is the print speed of this device. The print speed of the MG3660 is average. It is rated to produce prints at around 9.9 images per minute (ipm) if they’re black and white and at around 5.7 ipm if they’re colour. IPM as a unit is identical to pages per minute (ppm). Aesthetics is something that Canon has paid attention to when it comes to this device. The edges are curved which gives the device a sleek look. The OEM has even provided three different colours for you to choose from. While we won’t fault you for choosing the vibrant colour or the flawless white, we prefer the plain black. The Canon Pixma Home MG3660 is also fairly compact. It measures approximately 449mm wide, 304mm deep, and only 152mm high. Even though aesthetically, this device is good, it falls flat on its face when it comes to durability of construction. The material used in the manufacture of the Canon Pixma Home MG3660 is quite flimsy. All you need to know the weak nature of the material is tap the machine anywhere. Make sure you handle the scanner carefully. It is particularly paper-ish. This lightness of construction material is probably why the Canon Pixma Home MG3660 is so light. It weighs only about 5.4 Kg. Since the MG3660 is aimed at individual users, it doesn’t really need to provide high paper handling capacities. If you want to print a lot, we suggest you look elsewhere because this device has a maximum paper handling capacity of 60 sheets. You also need to look at other machines if you’re used to operating the printer directly. The control panel of this device is very simplistic with a few buttons located near the top left side. There is no LCD screen either. 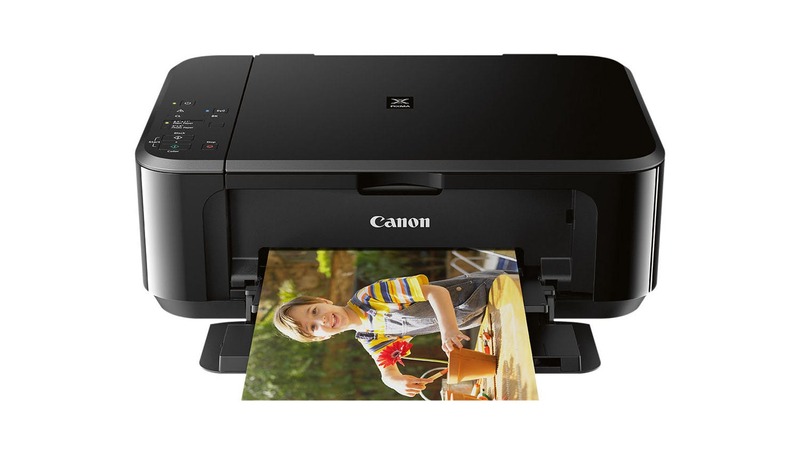 Canon printers, regardless of their market segment and price, will always print photos well. The Canon Pixma Home MG3660 carries on the tradition by offering photo printing features such as borderless printing and PictBridge compatibility. There are even some software suites inclined towards photos such as My Image Garden and Creative Park Premium. Covered all my questions, will buy one. No kids so light construction not a worry. USB connection & Wireless possible? In study no need. Surfing on couch and being able to print image? As with my Epson TX 600 which passed away will get cartridges from Inkstation. Thanks for your feedback. USB and wireless are both possible. I only have a i-pad. Will they work together? This is a tough one for me. I think our support team will be better equipped to answer this one. Get in touch with them via http://inkjetwholesale.com.au/info/ or even give us a call at 1800 INKJET (1800 465 538).